This model is for use only with for Apple Devices. Please see our other listing for Android supported model. 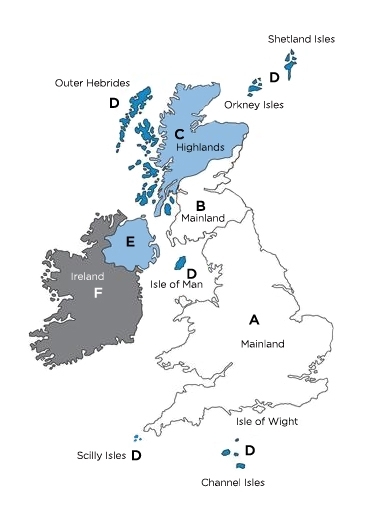 If you are unsure of your device's connection socket type please consult the manual for the device or give us a call on 0800 0224 060 and we'll be happy to assist. Whether you’re an electrician, a building contractor or realtor FLIR ONE Pro LT gives you and your customers the information they need to make important decisions thanks to FLIR’s VividIR™ image enhancement. See the heat differences that go along with missing, damaged, or inadequate insulation, building envelope air leaks, and moisture intrusion or damage for yourself, and cut down on guesswork. It can help you quickly find the sources of energy loss, destructive water damage, and structural issues, plus you can show your customers evidence of the problems – and repairs – so that you can work faster and more efficiently. Many common electrical problems create excess heat. This makes finding potential electrical issues quick and easy the FLIR ONE Pro LT. Plus, you can get accurate, non-contact temperature measurement while staying a safe distance from energized equipment to provide the vital information you need to accurately diagnose a problem. With a 1440x1080 resolution, and VividIR™ image processing, FLIR ONE Pro LT gives you the ability to see more detail, measure smaller components from farther away, and work more safely around energized equipment. FLIR ONE Pro LT's wide temperature range means you can measure temperatures between -4°F and 248°F (-20° to 120°C). 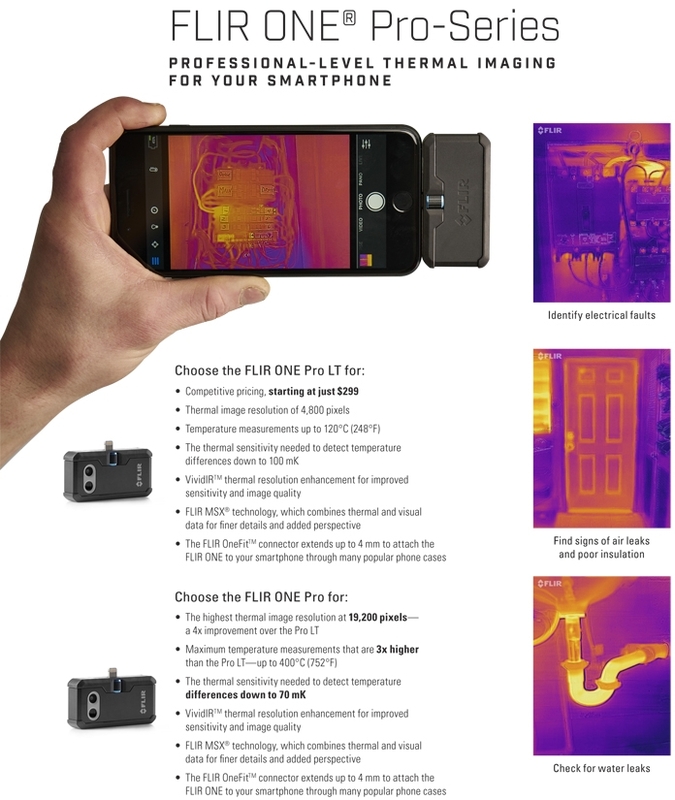 With up to three spot temperature meters and six temperature regions of interest, FLIR ONE Pro LT gives you added on-the-go image analysis and reporting capability. FLIR ONE Pro LT’s MSX feature takes the edge detail from the color camera and embosses it on top of the thermal image, so you get more image detail than ever in a single image. The Flir ONE Pro allows independant use of both the visual and the thermal imaging lens. The revolutionary OneFit adjustable-height connector ensures that your FLIR ONE Pro LT will fit your phone or tablet, even when it’s in a compatible case. With OneFit you won’t have to choose between thermal vision and protecting your device. FLIR ONE Pro LT is built to take the abuse that working on a jobsite dishes out every day. Rated to take a drop from 1.8 meters, FLIR ONE Pro LT is built to last. The app is free to download from the respective app store for both Apple and Android devices.